Despite being disappointed about Boot Camp class yesterday, I am sore in my legs today. I credit the squats we did in warmup and the squats I did with a heavy medicine ball on the bosu. 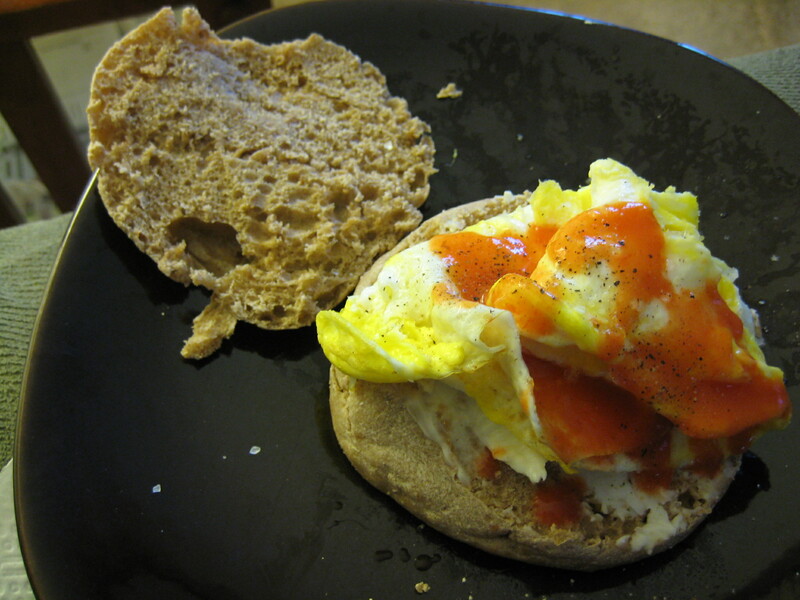 Breakfast was a fried egg on an English muffin and some cantaloupe on the side. The cantaloupe tasted so good. I cut it up before bed last night and couldn’t stop eating it! Snack at work was a hot chocolate and a few raw almonds. 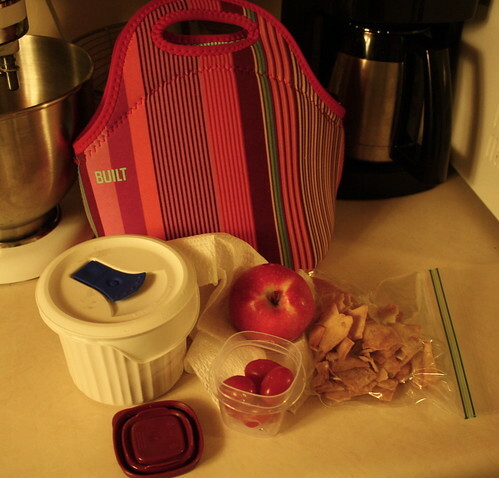 Lunch was minestrone soup and I threw some pita chips into it, which reminded me of tortilla soup. I love tortilla soup and really should make it at home sometime because Craig likes it too. I also had some grape tomatoes and a pink lady apple. 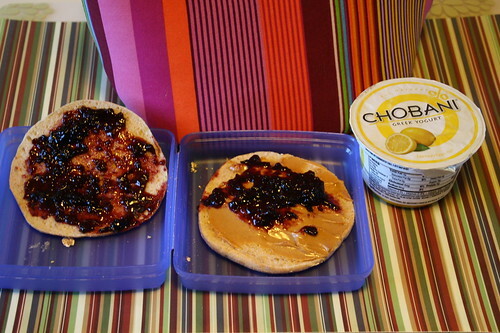 Lots of red foods going on for my lunchtime eats! 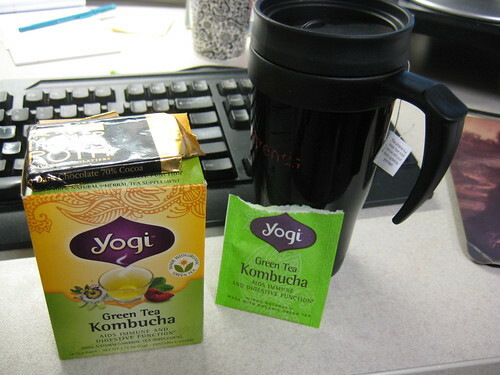 I had an afternoon snack of Yogi green tea kombucha and a small square of dark chocolate. I had quite the sweet tooth today! Upon arriving home, I needed a piece of Newman’s Own Organics tangerine licorice. 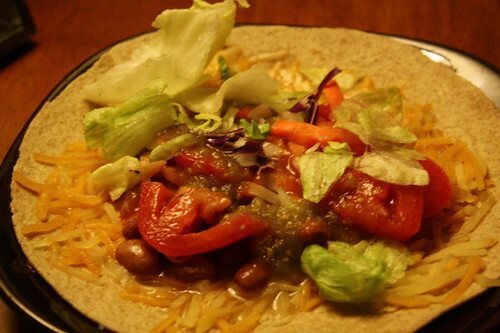 Dinner was a whole wheat tortilla with salsa, tomatoes, lettuce, pinto beans, taco flavored shredded cheese and some Penzey’s A Mural of Flavor spice sprinkled on top. 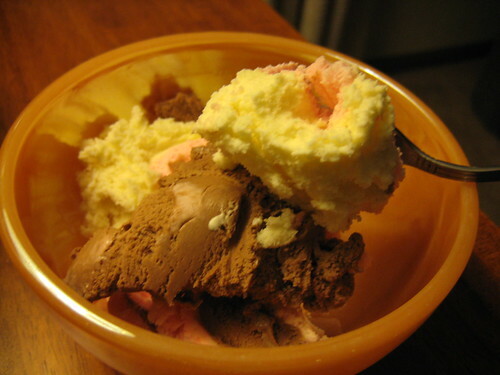 After dinner, I had a bowl of Neopolitan ice cream. 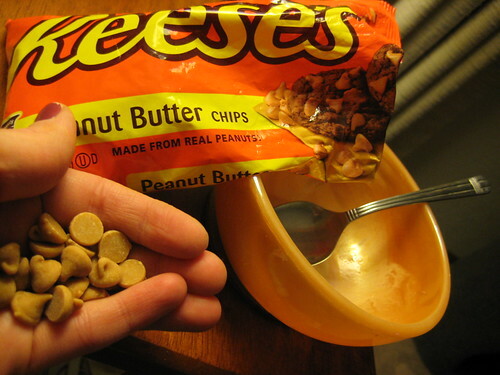 I was craving peanut butter and had some Reese’s pb chips. Told you I had a sweet tooth tonight! Yoga tonight was great. My favorite teacher was back! He just radiates positivity, which is what I need during my work week! My friend Angie had never had class with him and she also noticed that he is so happy. My body was sore, so the stretching felt wonderful. Now I am watching a travel show about Amsterdam and the Netherlands in general and remembering our honeymoon in Europe, wishing I was going back there soon. We visited Amsterdam after being in a couple of German cities. We both got really ill on our second day there, especially my husband. 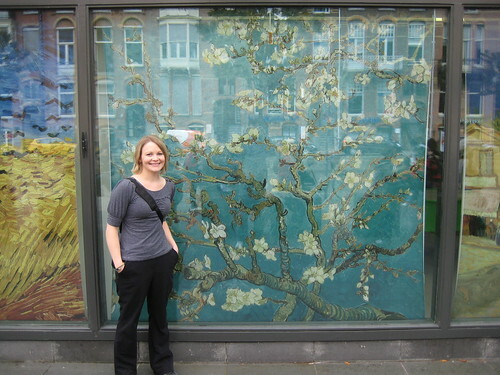 I remember going through the Van Gogh museum feeling ready to faint. 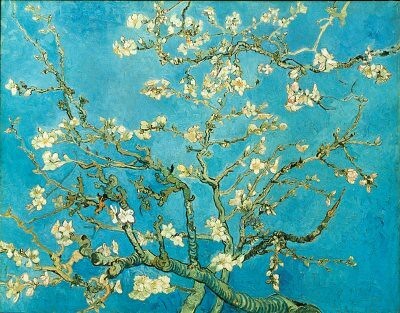 I was so happy to have seen the Almond Blossom painting though because it is one of my favorite paintings of all time. 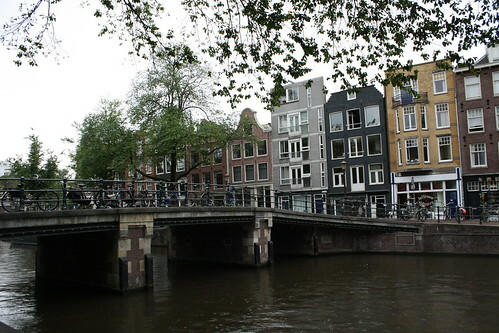 At least we got to the Anne Frank house before feeling totally sick on that second day. I loved seeing where her family lived. Seeing her diary and her room brought me to tears though. Oh, these darn travel shows! I have the itch to travel to Europe again. Or maybe our next big trip will be a tour in India? I am getting my haircut tomorrow morning! It’s been three months since my last cut and my hair is getting super long. I’ll post before and after pics tomorrow. I am also getting my hair highlighted on Saturday, so I’ll feel all refreshed again after this weekend. All in all, it was a good day. After a not so great Monday, I was happy to be productive, yet not stressed all day. 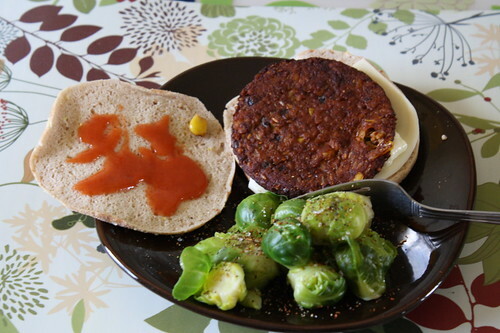 I was a bad blogger today and didn’t take many pictures of my food. Honestly though, lunch and dinner were the same meals I ate the last couple of days because we are seriously out of food, so I keep eating the same things. 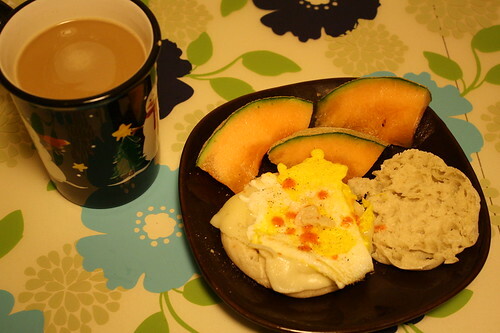 Taking pictures of all of my meals and snacks (and blogging about it) does hold me accountable, for example, when I looked at the picture I uploaded for today’s breakfast, I realized that I need to eat more fruit in the morning. 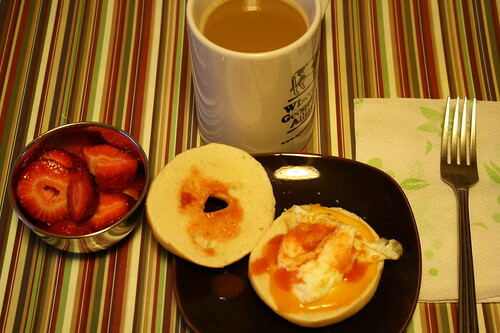 I love fruit, so I should be cutting up strawberries or popping grapes for breakfast more often. 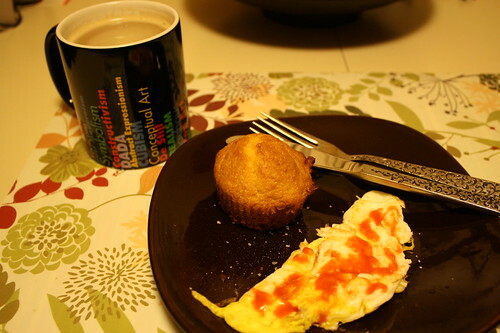 Today’s breakfast was a cornbread muffin and a fried egg. I got a little too happy with the Frank’s Red Hot!